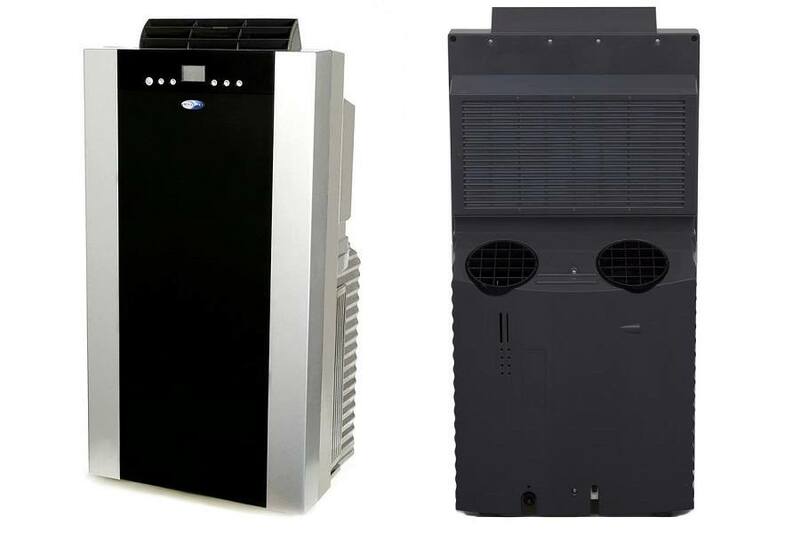 The ARC-14SH from Whynter is highly capable, large cooling capacity portable AC that can easily cool down larger areas and rooms. It has a few added features that give it more versatility compared other units its size. Even without the features, this is still a great unit for the price. The Whynter ARC-14SH makes it a point to include quite a few features, all coming without any expense to what the unit is designed for in the first place. This model can definitely cool an area down, but it has a few more tricks up its sleeve as well. The ARC-14SH cools and it cools well, giving you plenty of efficiency due to both its engineering and its dual-hose ventilation set up. Air is constantly cycled in and out of the room, maintaining most a consistent air pressure and temperature. It doesn’t take long for the ARC-14SH to effectively cool down a larger space. 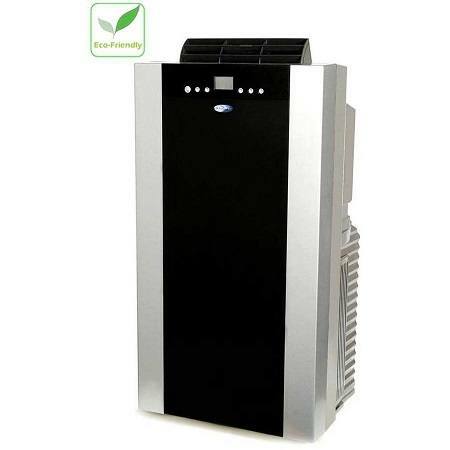 The ARC-14SH comes equipped with a heater option, along with a dehumidifier setting as well. The heater option is definitely a welcome option, making the ARC-14SH a year-round unit that can go both ways when it comes to regulating the air temperature of a certain area. The ARC-14SH comes with an auto-restart feature that will start the unit back up using the most recently used settings in the event of a power outage. 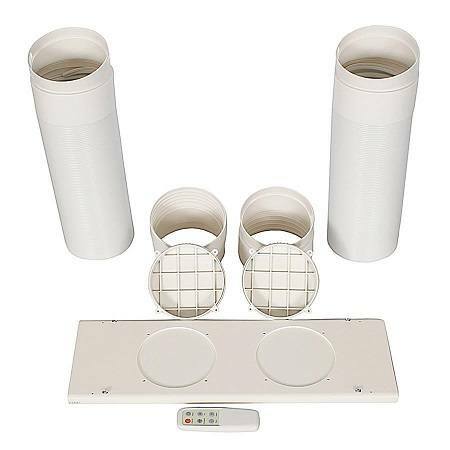 If you are using the unit to keep your pets comfortable and cool while you are away, you’ll appreciate the peace of mind this provides. The same can be said for the LCDI feature on the ARC-14SH. LCDI stands for Leakage Current Detection and Interruption. This is a long way of saying that the unit will automatically shut off if moisture causes any kind arcing, or if there is a short detected. Although the ARC-14SH evaporates moisture on its own, it still may retain some condensation when used in more humid conditions. If so, a red light will appear on the screen letting you know that it needs to be drained. That’s far better than stepping in an unexpected puddle. The ARC-14SH has a lot of things going for it, but there are some drawbacks worth noting. With a max dB level of 58, the ARC-14SH is slightly on the noisy side for a larger room unit. That’s not to say the noise is unbearable, but it’s definitely noticeable every now and then. We weren't able to confirm, but some owners report that the sound decreases a bit with continued use. It seems a little unfair to knock a portable air conditioner heater, but we’ll do it anyway. It’s nice that the ARC-14SH has the ability to heat a space to some degree, but don’t expect it to perform like a dedicated space heater. The ARC-14SH looks great and works great. It’s fairly easy to move around, and is more than capable of cooling down areas up to 500 square feet. 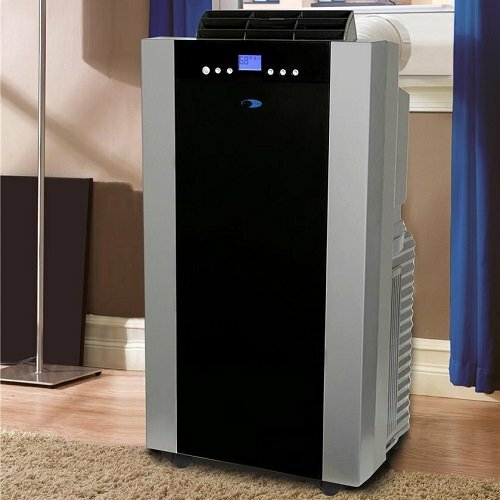 The added safety measures, heating and dehumidifying settings, and convenient remote control all work to make an already great portable air conditioner even better.